With features such as YKK AquaGaurd Escape Artist pit zips, chest pockets large enough for skins and a removable powder skirt, this jacket was created with one aim in mind - to give you the freedom to pursue the perfect line. 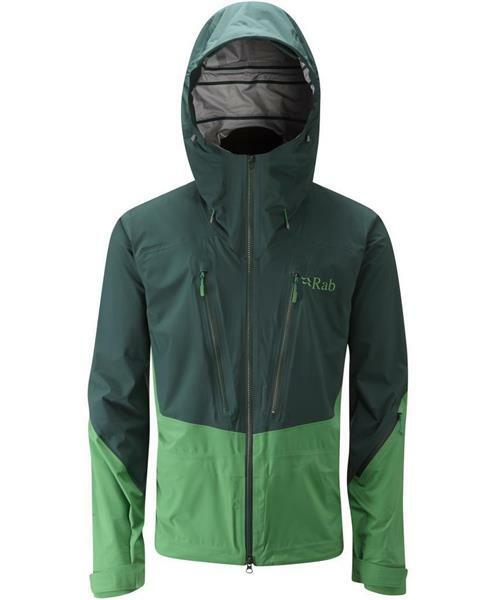 Sharp Edge Jacket - Mens is rated 5.0 out of 5 by 1. Rated 5 out of 5 by VPOMike from Stunning value I own the Valhalla Pure store in Medicine Hat, and I struggled to find a true ski shell for my customers that didn't cost $700+. So I was very excited when I saw the Sharp Edge jacket and pant. When it arrived I liked it so much I ordered myself the jacket, and I show it to all of my friends. Props to Rab for making such a well-designed product and bringing it to us at a reasonable price.